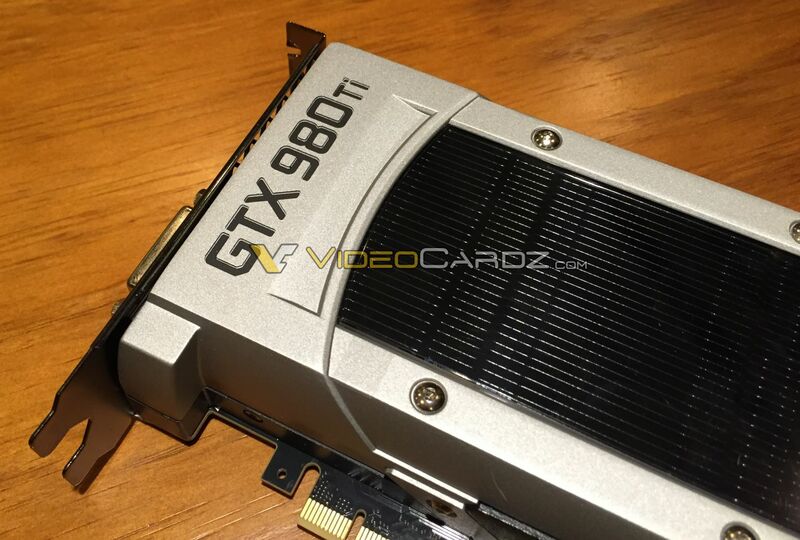 The GTX 980Ti has been pictured. Is its release imminent? Read more on the GTX 980Ti here. Honestly NVIDIA if you are going to make end users pay 800$+ for a video card give it a backplate, for gods sake! Was anyone really expecting it to look any different? It would cost Nvidia maybe $1 per GPU to add a backplate, If people are adding after market EVGA Titan X backplates to their Titan X's and seeing a 1-2'c drop in temps then I do not see why Nvidia didn't add backplates to the Titan X and 980 Ti, Really makes them looks a lot neater. If NVidia were to add backplates to their cards I hope they do better than the ones on the 980 as they were very cheap and nasty. Even the thermal pads on the 980 are crap compared to the ones used on the Titan X. Because it costs more money. Yeah I know I said this above, It's roughly $1 per GPU for them, That's literally nothing.